The RBC Canadian Open, whilst in a tough spot on the schedule has attracted a stellar field this week, boosted by the players sponsored by RBC. To get this standard of field a week after the Open Championship is great for the event and the Canadian fans, who only get one shot a year of watching golf in their home country. Don’t look for defending champion, Jhonattan Vegas at the head of the market, says the guys at MyTopSportsbooks.com. His two wins at Glen Abbey constitute 66% of his career titles, and he only has one top-ten in 21 events this season. Instead they have World No.1 and two-time RBC Canadian Open runner-up, Dustin Johnson as the clear favourite at 11/1. Behind Johnson is the incredibly consistent, World No.10, Tommy Fleetwood (14/1), who’s only missed one cut this year. Making up the top-three is the ever-improving, Tony Finau (15/1), who has risen to No.33 in the world rankings, thanks to seven top-10 finishes this season, including at all three major championships so far. It may well be a bit premature to discount Vegas, despite the strong field, as he looks to become the first player to win a PGA Tour event for three years on the spin, since Steve Stricker achieved the same feat at the John Deere Classic from 2009-2011. Vegas was out of form leading into this event in the past two years and still come up with the victory, so his current run of form may well be best ignored, given his obvious affinity with Glen Abbey. Including this year, Glen Abbey has now been host of the Canadian Open for five of the last six years and thirty times in total, so we have a good idea of what to expect here. Glen Abbey tends to favour distance over accuracy off the tee, with four Par 5’s and some shorter Par 4’s which are all there to be scored on. Whilst accuracy will of course help, the rough is far from penal here, and will be more of an inconvenience than an a real problem. This event is second behind the CareerBuilder Challenge for the most eagles since 2014, so it is imperative you keep up with the pace, and make your fair share of bonus scores on the long holes. Bubba Watson shot 16-under-par on the Par 5’s in 2015 when finishing 2nd, showing just what can be done if you do enough to take advantage here. When asked about his approach to the course, in soft conditions last year, Watson was very bullish about his tactics around Glen Abbey. “Well, I don’t care if its firm, I’m still going to be aggressive. A few years ago when Jason Day won and beat me by a shot I think, it was really firm that year. We played some good gold. So you can attack. Even though it’s firm, you’ve got to attack the right way. You have to think the likes of Johnson, Koepka and the other long hitters in the field will have a similar mind-set and approach, as Watson has already proved the course is there to be overpowered, without a fear of missing the fairways getting in the way. Vegas shot 21-under-par here to win last year, due to the soft conditions, but even if it was to remain firm this week, low scoring is still the order of the day in this event, and if you can’t bomb it, you best be on point with your mid-to-long irons. What gives heart to the shorter hitters in the field, apart from the winners’ list that is indeed littered with them, is the smaller-than-average greens, which need to be hit to go low. When the greens are missed, which is inevitable given their size, strong scrambling will also be required. To summarise, if you like the chances of one or more of the bombers in the field this week, this is arguably one of them more favourable places to play them all season. Those who can plot their way around a course, with impeccable long-iron play and good putting, should certainly be in the frame also, and it is simply a case of trusting they can go low, and take advantage of the Par 5’s in the same vein as the big hitters. Snedeker certainly seems to have put the worst of his injury woes behind him, and is now putting in the sort of performances of late, which have seen him win 8 times over his PGA Tour career. It may not seem a lot for a player of his ability and reputation, but before last week’s Open Championship, Snedeker had made four of his last five cuts and in that time had also finished T3 at the Greenbrier and T6 at the FedEx St.Jude Classic. This is so promising for a player that has battled with injury a lot in recent years, and he will now be hoping to take advantage of what looks to be a clean bill of health. Snedeker will be disappointed with a missed cut at last week’s Open, as this is an event he has performed well at over the years, but he will certainly be looking forward to returning to Glen Abbey. In three starts at this course, Snedeker has won once (2013) and finished 5th twice (2009, 2016) in three starts, making him very much a course hound. 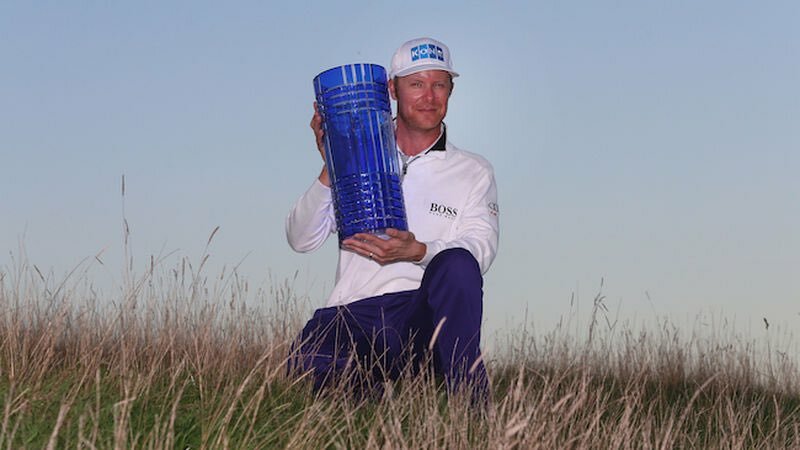 With the efforts he put together at both the Greenbrier and the St.Jude, as well as his course form taken in to account, I think Snedeker is well overpriced at 50/1 and I would certainly having him a lot shorter. Keith Mitchell finished T7 on his last start at the John Deere Classic and whilst he has been inconsistent in his Rookie season, he has shown flashes of brilliance and he can do so once again here. He currently has four top-7 finishes this season, including a 2nd at the Corales Puntacana and 3rd at the AT&T Byron Nelson, so he is more than capable of getting himself in the mix, should the course suit. Mitchell currently ranks 7th on Tour in Driving Distance and 18th in Par 5 Scoring Average, so this should be a suitable course for him and the type of test is also up Mitchell’s street. He currently ranks 6th in Total Birdies and 14th in Birdie Average, so will appreciate the low-scoring nature of this event, especially if he can get on a roll with his putter. The putter has been his nemesis at times this year, but he has proven he can get hot enough with it on any given week, given the amount of times he has got into contention already. Whilst he has not won at either PGA or Web.com level, Mitchell has now posted ten top-10 finishes over the two Tours in the last two seasons, a level of consistency that should eventually be rewarded with a maiden victory. At 100/1 he looks to be plenty good enough value, after proving on more than one occasion already this season that he is a player capable of mixing it with the best. Whilst he predominately plays on the Web.com Tour, and this of course a step in class, there are not many players in world golf in better form, than 23-year old, Cameron Champ. Champ has made his last seven straight cuts, finishing T32 or better on each occasion, including six straight top-11 finishes. This run of form culminated in a breakthrough victory at the Utah Championship two weeks ago, and he will hope his form will translate, as he plays on the big stage. When you think of power off the tee, Champ is up there with the longest hitters. He rose to prominence as an amateur at the 2017 U.S. Open, when averaging over 337 yards off the tee to lead the field in Driving Distance. He finished T32, which could have been a whole lot better, but for a final round 76. That 76 on Sunday cost him Low Amateur honours, but it was no doubt a learning experience for the youngster. Champ is currently averaging 342.7 yards per tee shot on the Web.com Tour, which was helped by averaging just shy of 391 yards off the tee, during his win in Utah. To average that sort of distance is absolutely insane even with the altitude taken into account and he currently makes PGA Tour Driving Distance leader, Trey Mullinax look like short off the tee, despite him averaging 319 yards this season. His numbers will of course reduce over the weeks and we know full well power isn’t everything, which must be remembered and put into context. This course however is so perfect for Champ’s skillset, that whilst he is in the form he is, beaming with confidence, I think it is a great chance for him to make his mark for the first time in a regular PGA Tour event. The Texas A&M alum is currently on a run of form, eerily similar to Chesson Hadley’s Web.com season in 2017, who has been solid on the PGA Tour this season, despite the lack of a victory. Hadley did of course win twice last year, to Champ’s currently sole victory, but the season is not done yet, and Champ may well win again. How well Hadley has played this season proves that form is form and confidence is confidence no matter what level you are playing at, and whilst Hadley had already played on the PGA Tour in prior seasons, Champ may just acclimatised very quickly to life on the PGA Tour. A solid showing this week could be the foundation of a long and successful career at this level, and Champ who is represented by the same agent who looks after Tony Finau, will no doubt look to his stablemate for advice and inspiration. It is perhaps worth keeping stakes to a minimum until he has shown he can do contend at this level, but I am more than happy to at least roll the dice with him, at least until his form deserts him. It has been a tough season profit wise this year, and of course that is a concern, but as we know a couple of good week’s can turn that around, and hopefully that starts here. We were very close at the Open, with Finau finishing inside the top-10 as predicted, and reducing the loss of points, whilst Zach Johnson and Alex Noren both faltered, despite looking in good shape heading into the weekend.